Naruto, a ninja manga series by Kishimoto Masashi, began in Weekly Jump #43 in 1999, then became TV series since the end of 2002. It has become one of the most popular series in Jump, giving One Piece a run for its money in popularity. 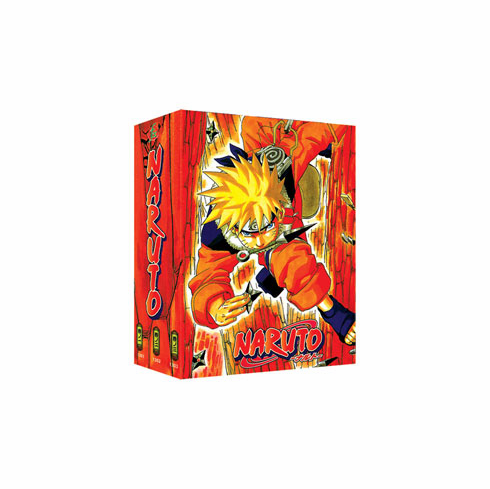 The story follows Naruto, a young ninja in training, who also happens to be the reincarnate of the Nine-Tails Fox Demon, his teacher, his teammates, and a large cast of other Ninjas.Uzamaki Naruto is the main character in the series. He is naturally impetuous and tends to rush into combat without thinking, and is very hyperactive. However, he is capable of devising some quite clever Jutsus when necessary. Naruto is the sealed nine-tails demon fox, and when he is under great stress or when his friends are severely threatened it starts to become unsealed, don't miss this, it's cool! He dreams of being acknowledged by everyone in the Leaf village. He is an outcast (nothing like being a demon to ruin your reputation). He has a close bond with Iruka, initially hates Sasuke (he still hates him, but respects him too) and has a crush on Sakura. Who hates him. Naruto also likes Ramen. A lot. In fact, Kakashi once thought that Ramen and being Hokage were the only things he thinks about.